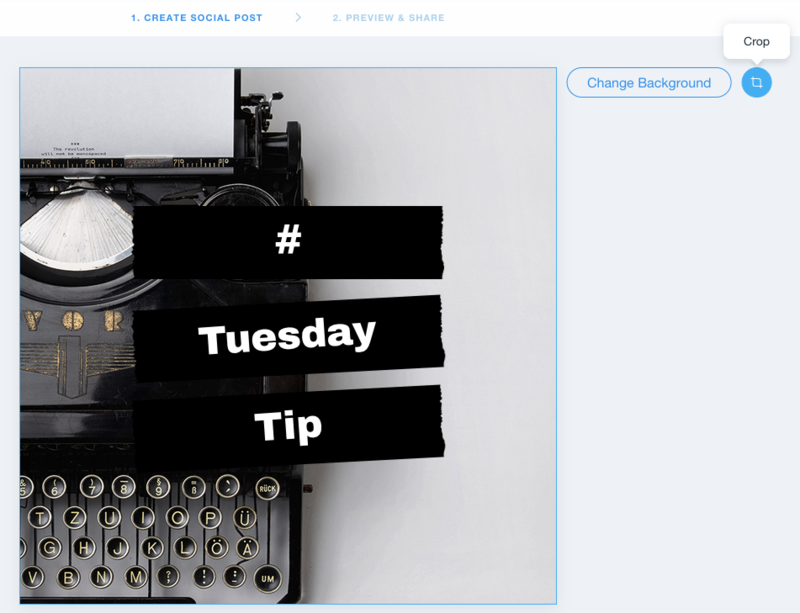 Now you can crop the background image of your social posts. Simply click on the background image and click the Crop icon. Log in to Wix and click Settings. Create beautiful posts for your social channels. Send an email, chat or get a notification every time a user does a certain action. Your may have noticed your Wix Inbox has a beautiful new design. Plus you can now add attachments to your messages. Connect your G Suite account to your Wix Inbox. This way, any emails sent through your Wix account will come from your custom email address. Get a more seamless experience when adding pixels to your site. Now when you go to add a Google or Facebook pixel, you can do it right in the Marketing Integrations tab instead of being sent back to the Tracking & Analytics tab. Once you've added pixels, you can still manage them in the Tracking & Analytics tab. Now you can create unique roles for your site members. Give permission or restrict access to certain pages based on these roles. Why this is great: You can now offer different membership tiers or create different roles for different types of site members (i.e. teachers & students). Please note: To create a member role, you'll first need to create Members Only pages.